Bristol based specialist label printer Kingfisher Labels UK has invested in its fifth BGM Bar Graphic Machinery machine– BGM’s very latest high speed Elite 410 iSR Inspection Slitter rewinder. Karl Jackson, production director, of Kingfisher Labels Ltd comments: due to increasing sales it was imperative that we purchased additional finishing equipment. This decision was made very easily, as since our very first Bar Graphic’s purchase the machines have been absolutely faultless. Reliability has been impeccable and this in itself assured us of the quality and high standards BGM is able to offer. 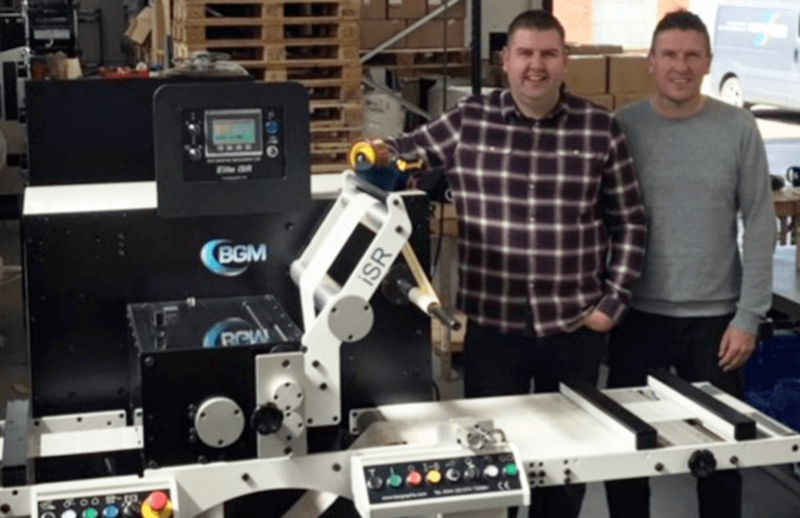 Daniel Carr, sales manager of Bar Graphic Machinery, says: “We are delighted that Kingfisher Labels’ future growth and expansion plans involve buying additional equipment from BGM. They have purchased our latest 410mm wide label inspection slitter rewinder, by keying in the rewind shaft size the machine will automatically adjust the acceleration / deceleration times optimising productivity output at speeds of up to 300m/min. In addition to this the machines electrical requirement is single phase 13 amp enabling relocation of the machine if required to be very simple as no hard wiring or the need for an electrician is required”.